This 410,000 sq. 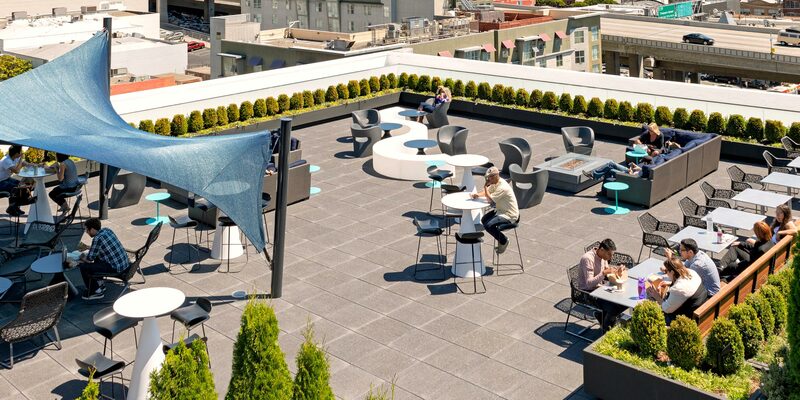 ft office building features San Francisco’s largest roof deck with rooftop bar, integrated lighting, fire pits and extensive landscaping provided by SMITH+SMITH. 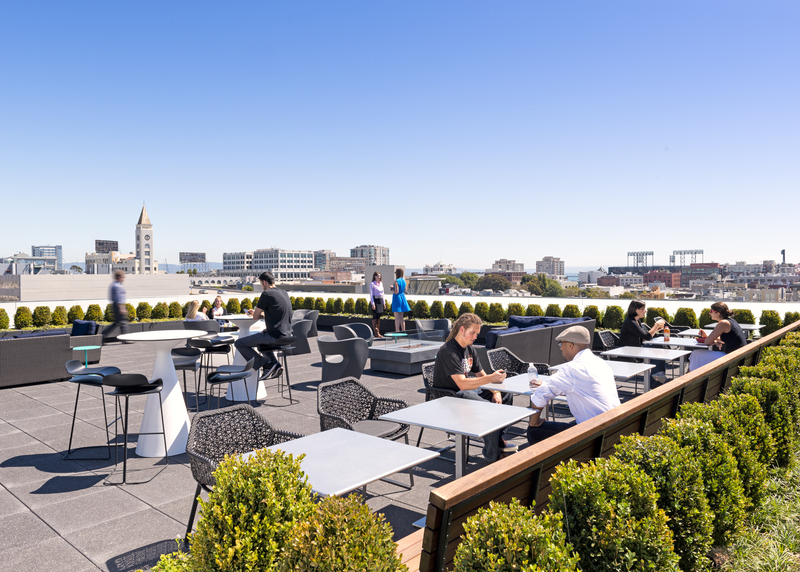 Located in the SOMA area, the hub for high growth technology, media and creative software firms, the roof deck offers sweeping views of the city skyline and Bay Bridge. The LEED Gold certified building includes a new irrigation system to reduce landscaping water usage by 50%. SMITH+SMITH also landscaped for PAC-12 Enterprises whose offices are in the building.